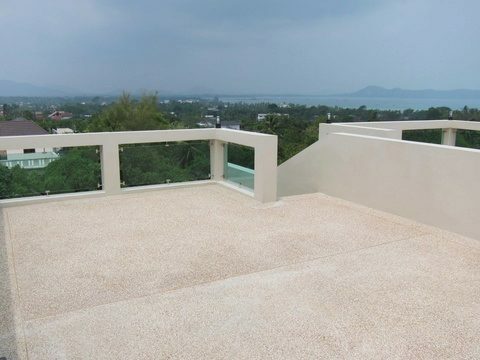 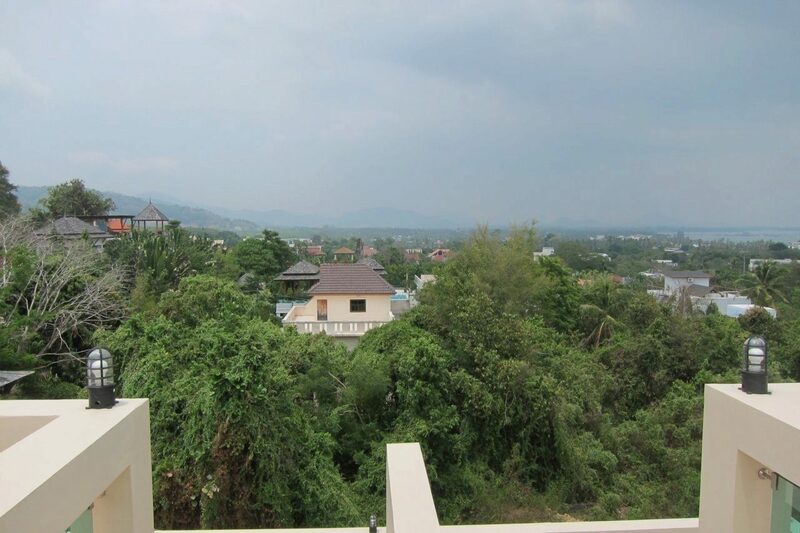 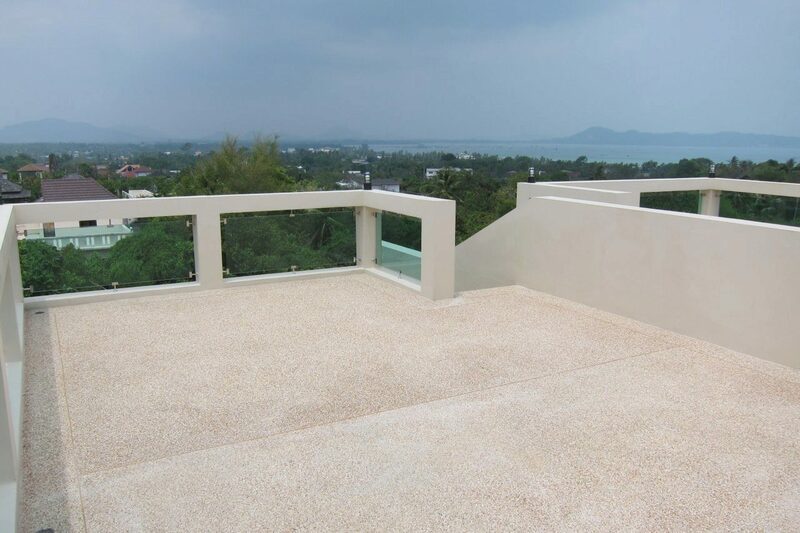 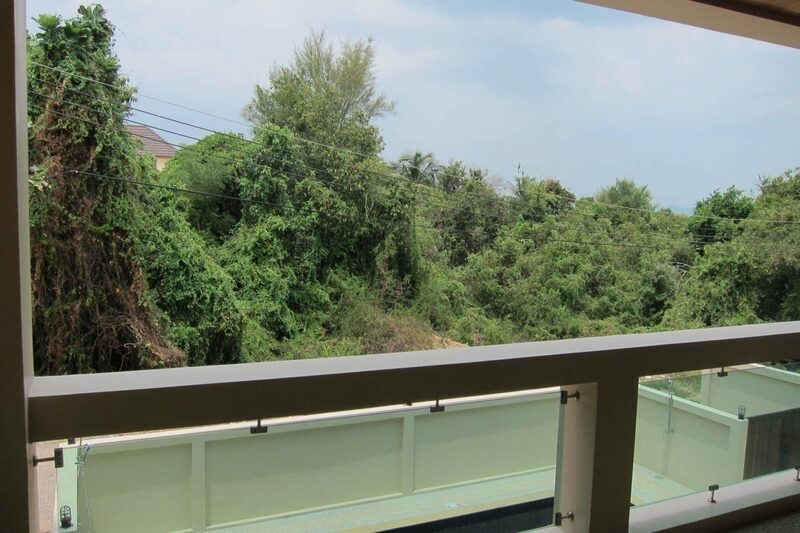 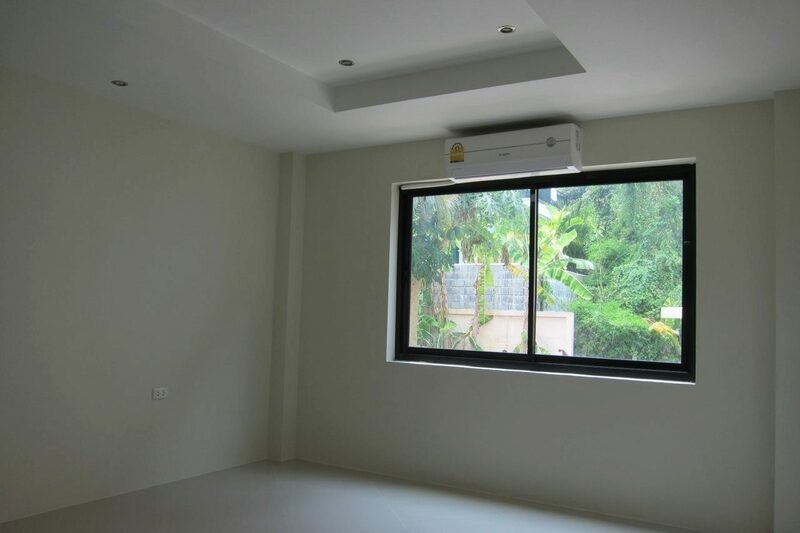 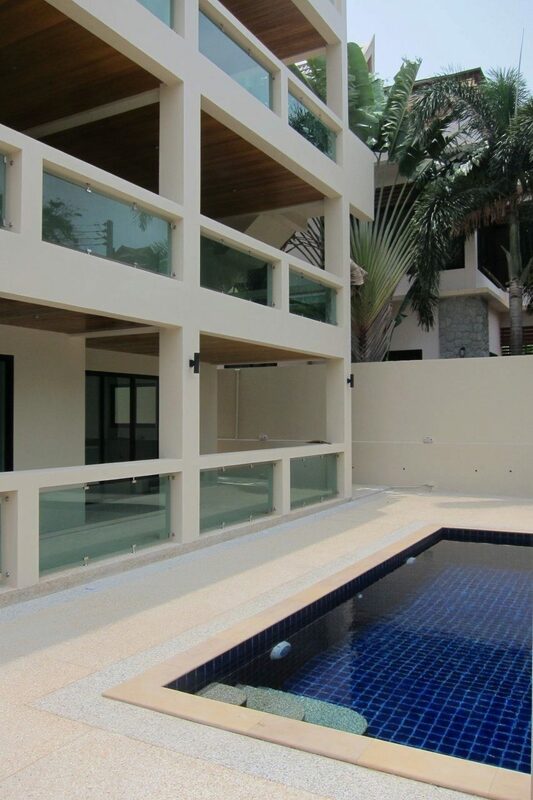 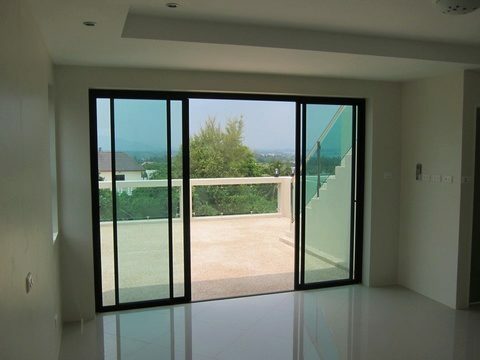 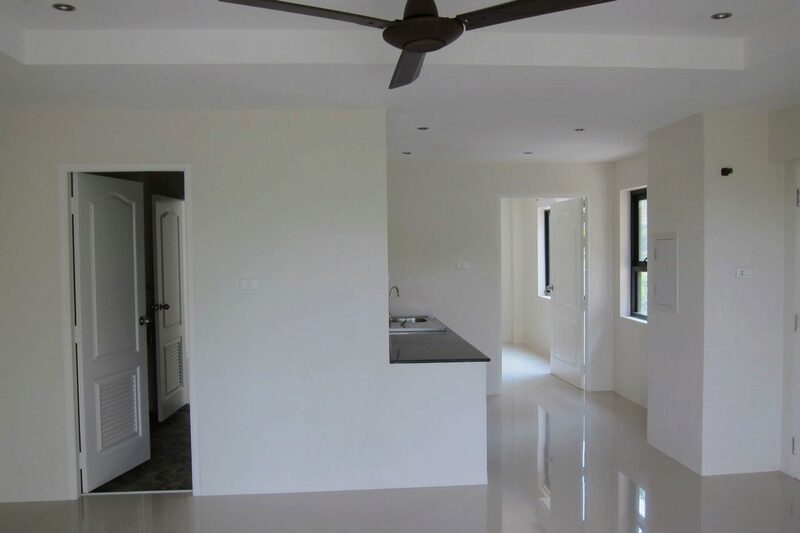 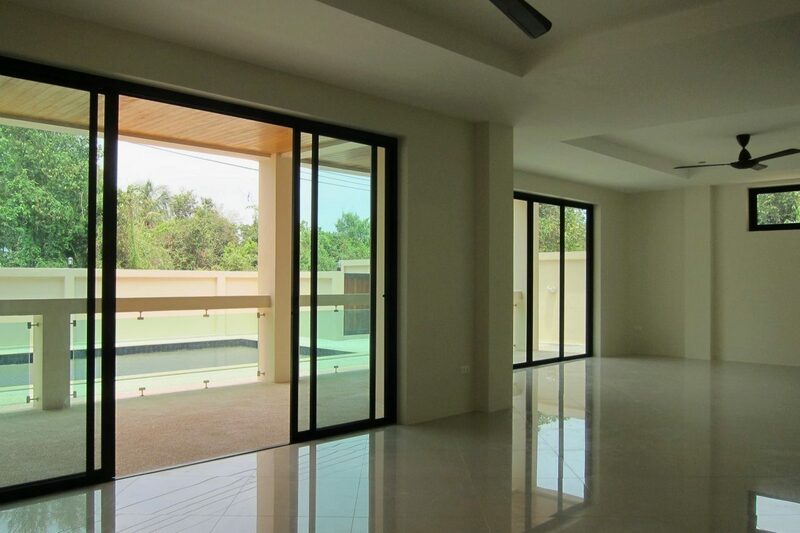 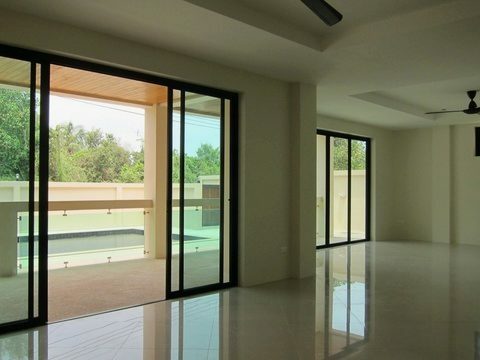 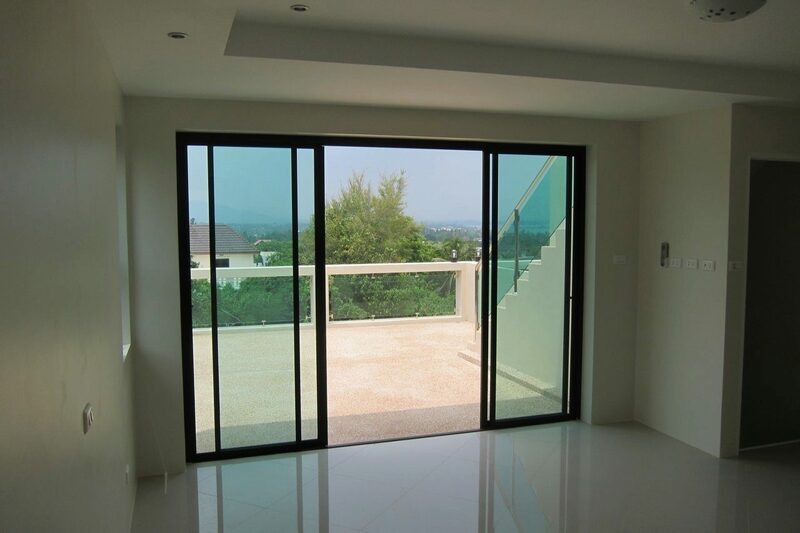 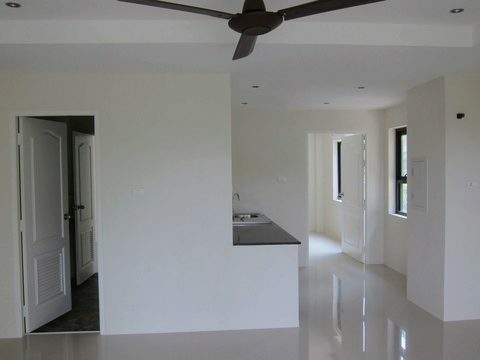 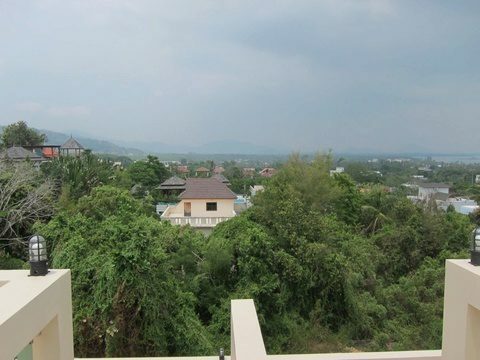 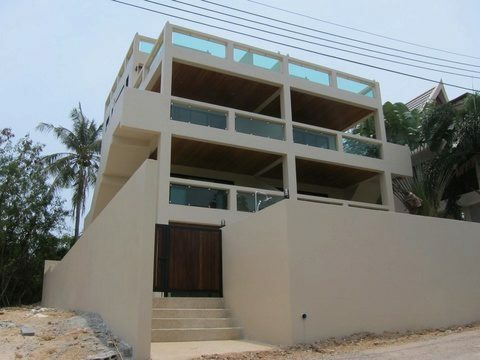 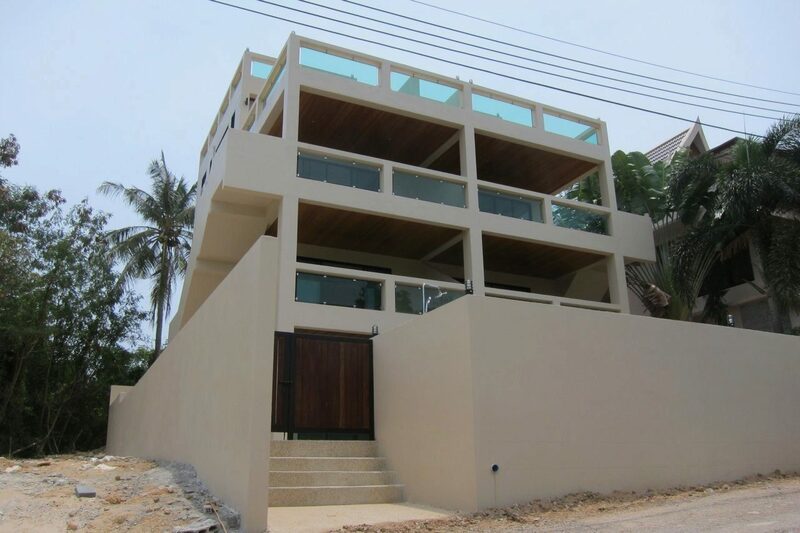 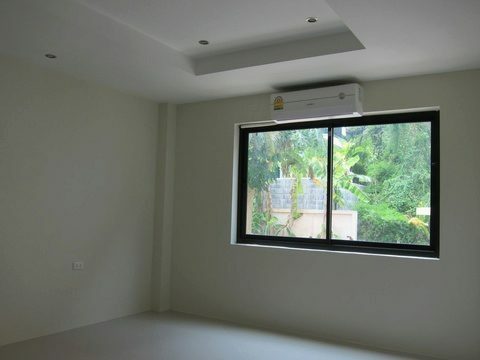 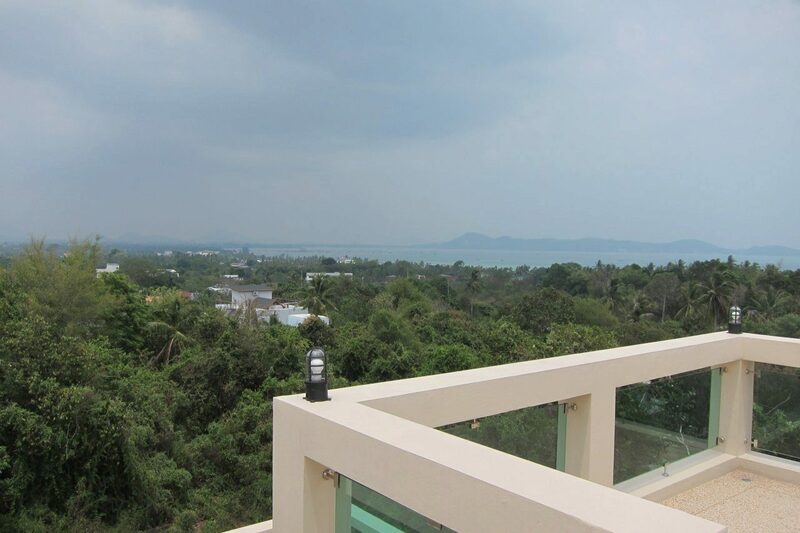 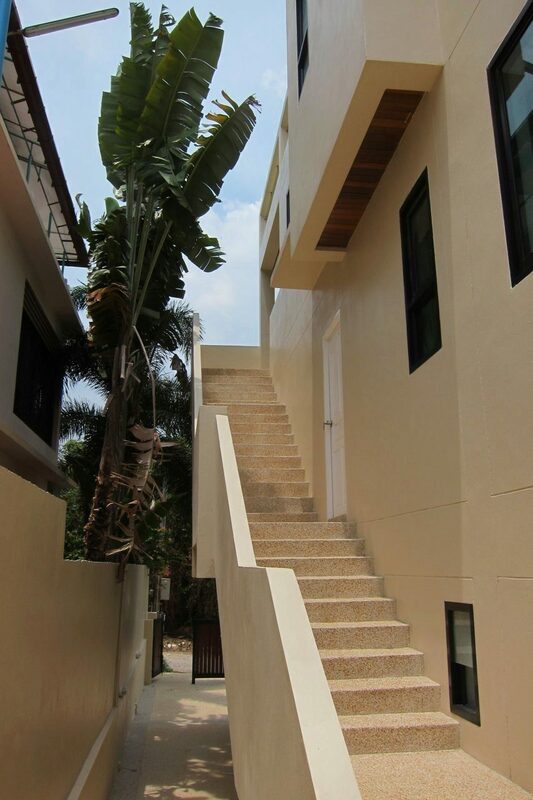 Brand new apartment complex on the hill side of Rawai area. 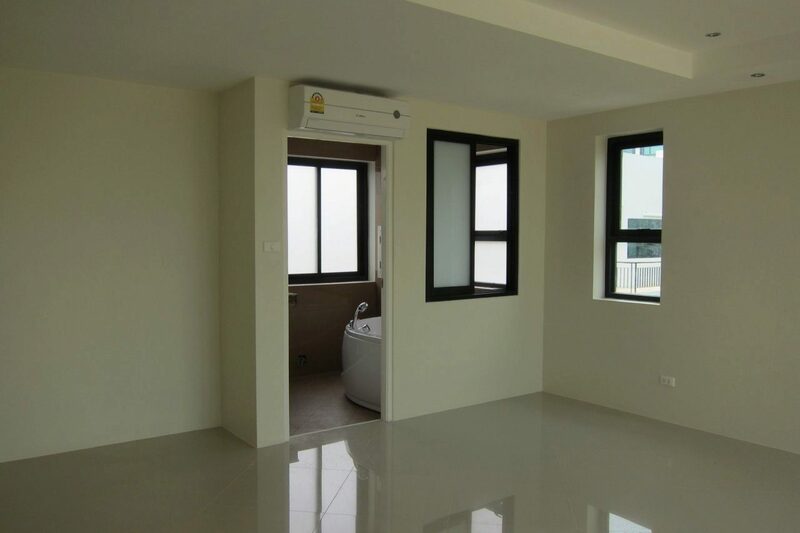 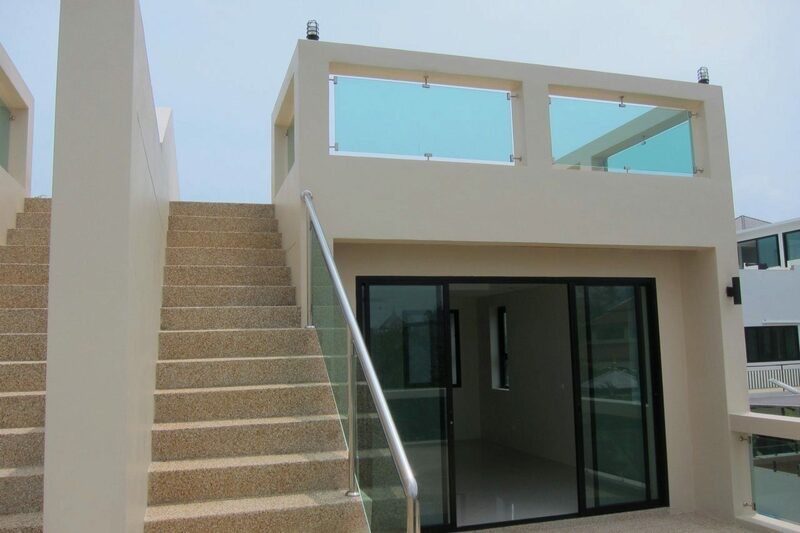 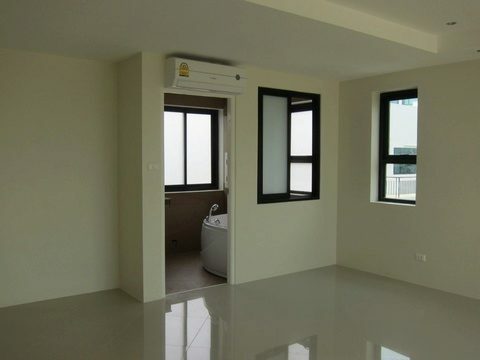 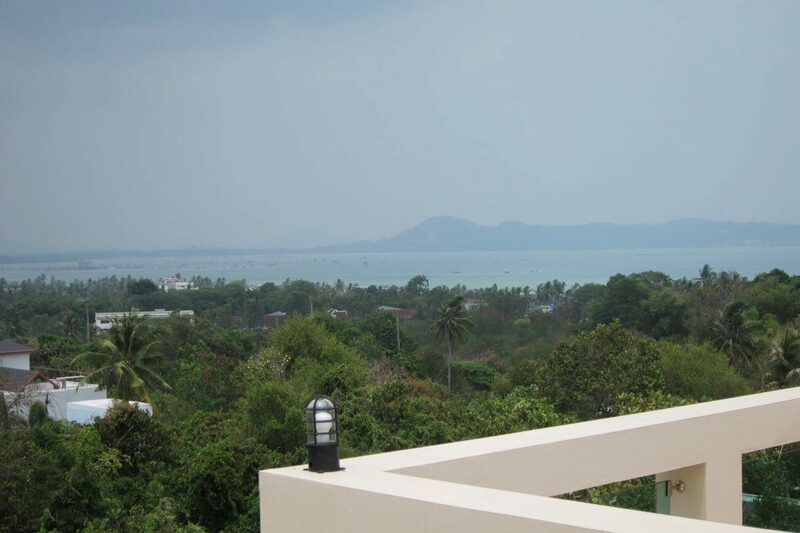 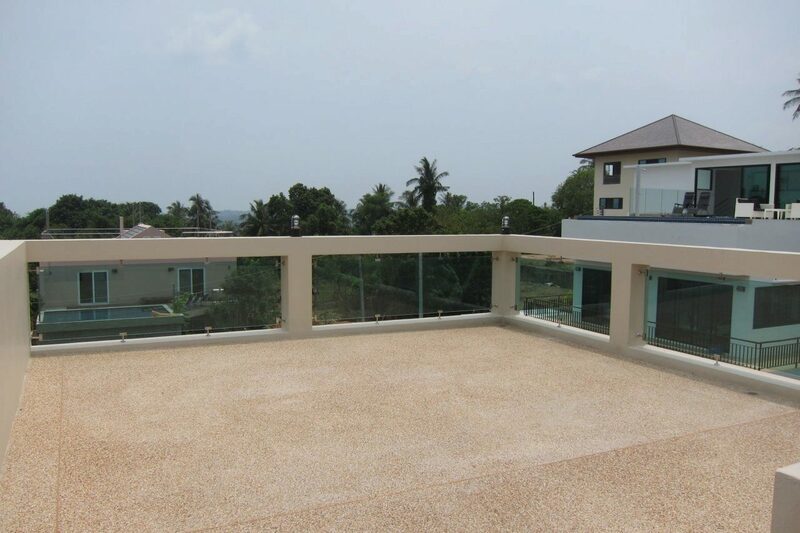 two 2-storey penthouses with the roof top and panoramic sea view. 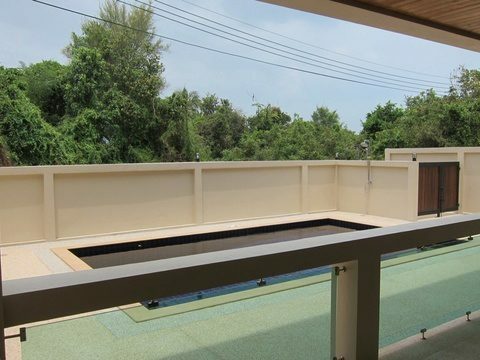 2 bedroom ground floor apartment comes complete with two large en-suite bathrooms, kitchen, dining room, living room and a large balcony area for relaxing by the pool. 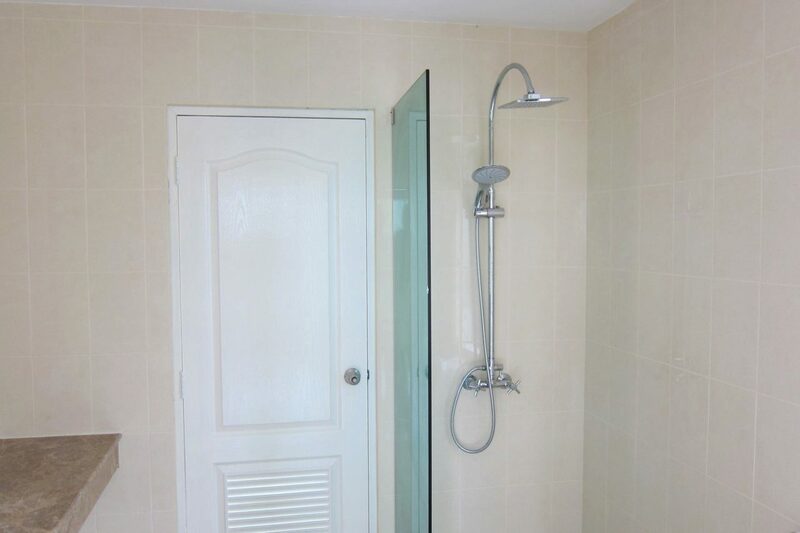 The 2nd floor consist of two one bedroom condominiums with 65m2 of living space and a large balcony at the front overlooking our glorious swimming pool below, they really do offer great value for money. 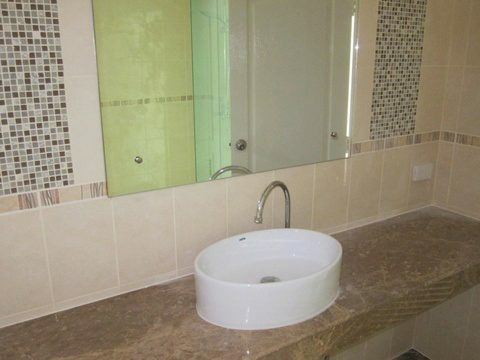 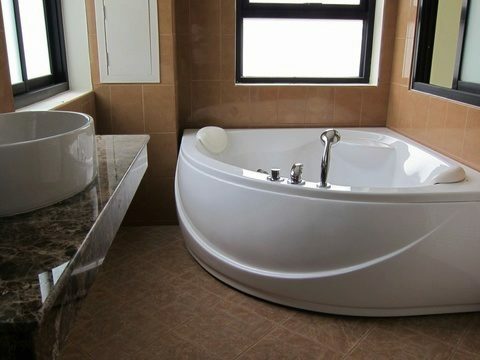 Each one bedroom condo has a separate living area and bedroom area, fully fitted en-suite bathroom and built in kitchen. 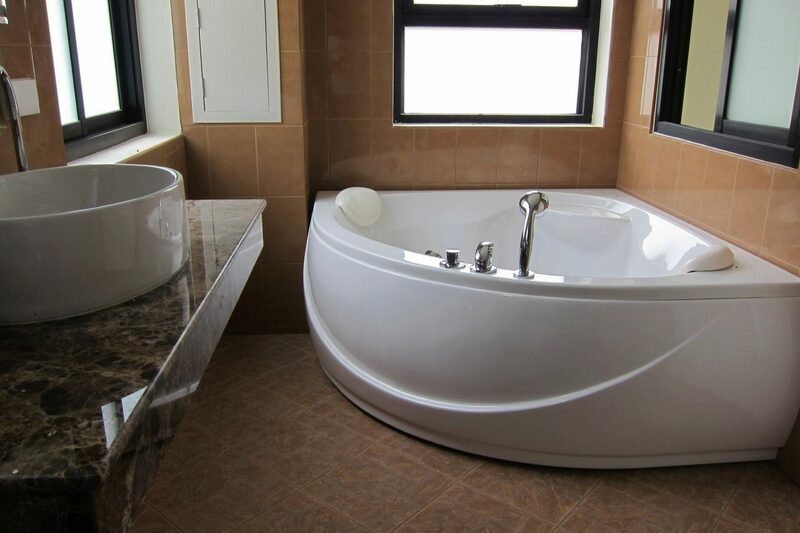 Floors 3 and 4 are made up of two penthouse apartments that both offer stunning sea views. 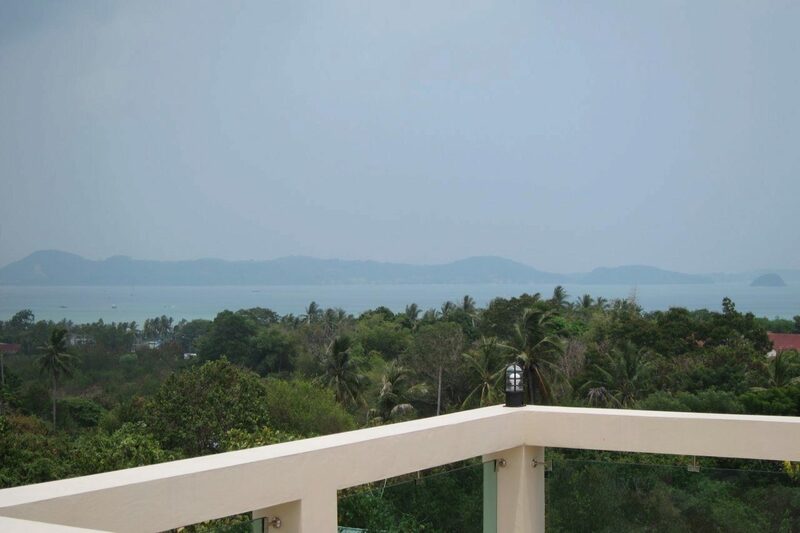 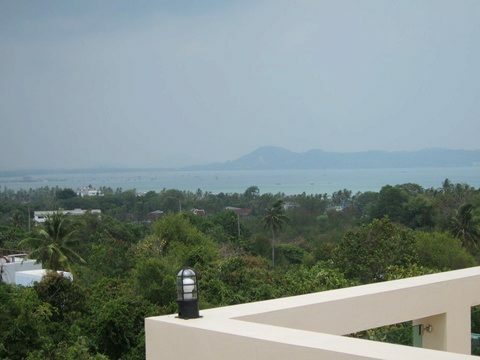 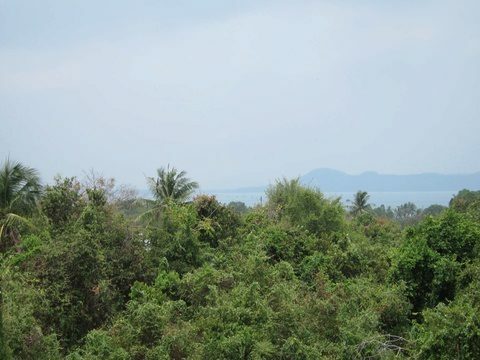 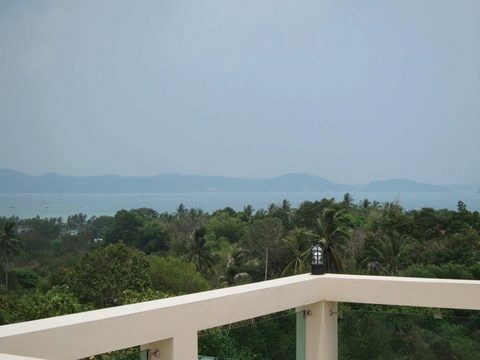 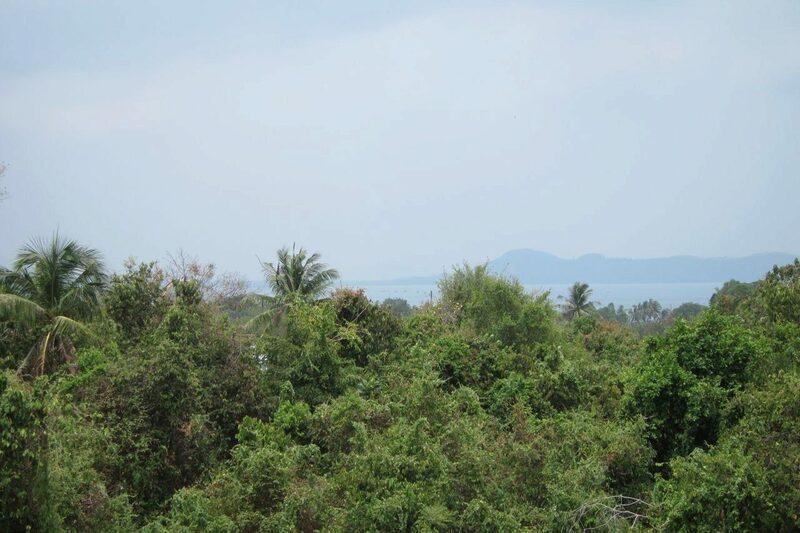 Not only do they encompass breath taking sea views but they also offer you the beautiful mountain and tropical rainforest view as well as the surrounding Islands, Chalong pier and marina, Big Buddha and Wat Chalong temple, quite simply put they don’t make them with views like this anymore at the price we are offering. 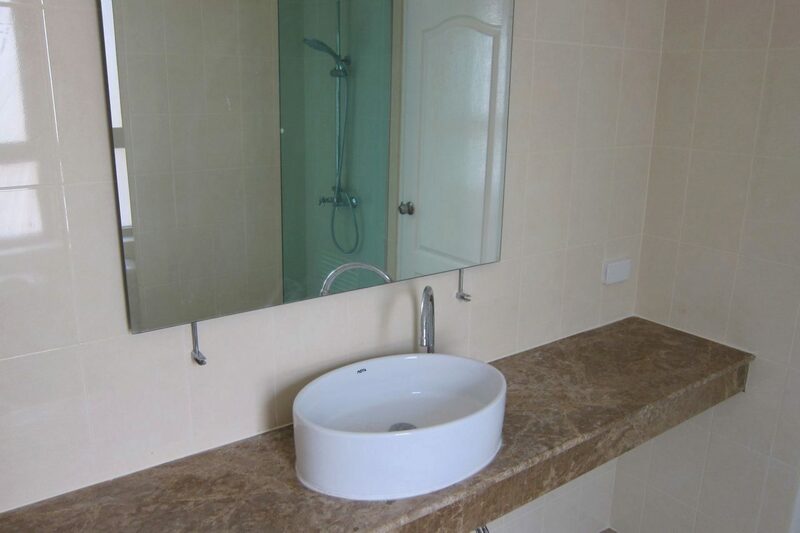 Both units have a downstairs living room, bedroom, En suite bathroom, kitchen, and dining and storage area. 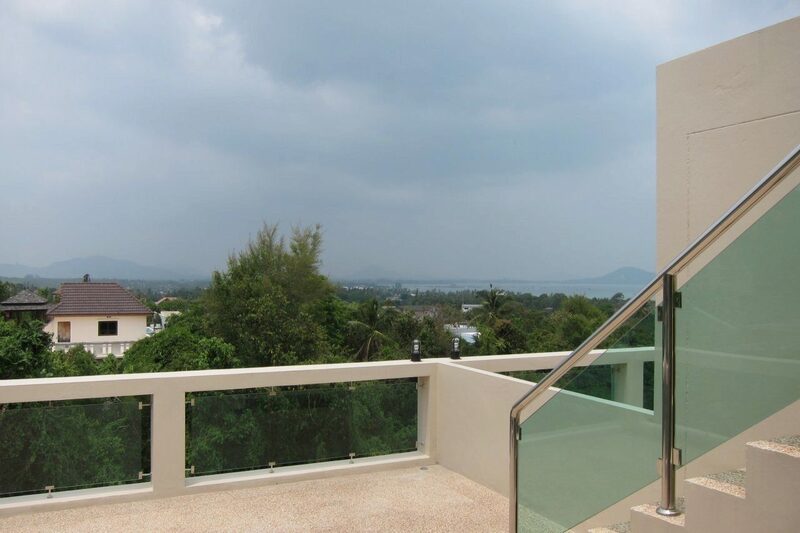 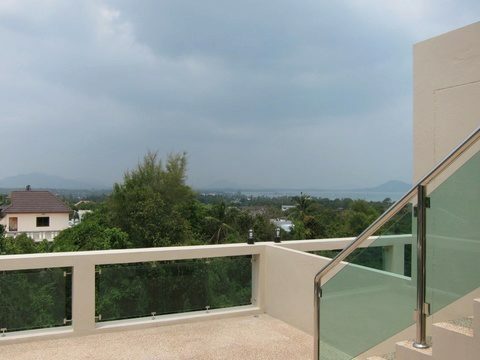 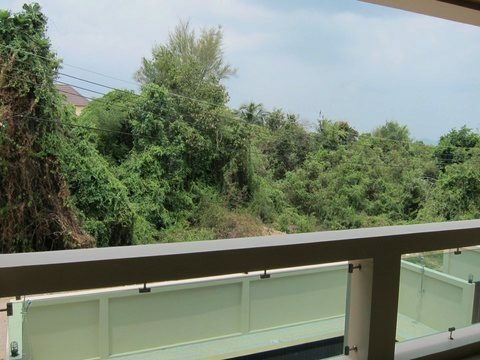 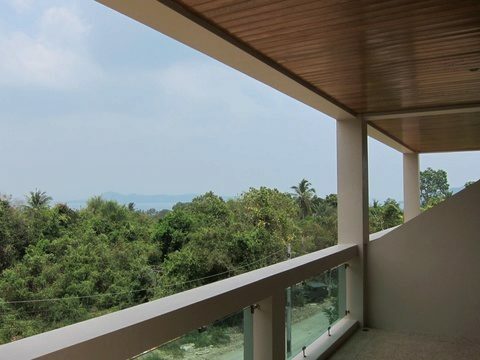 The front balcony offers you a superb glimpse of the sea views available. 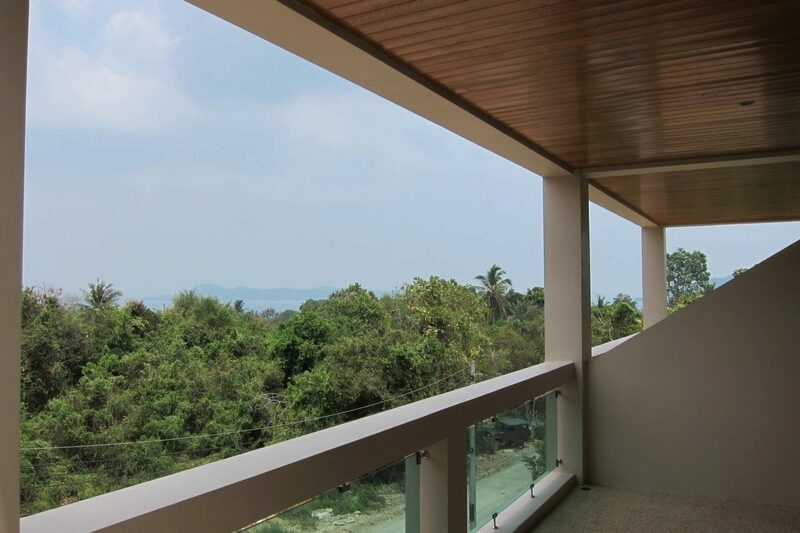 The fourth floor is where the master bedroom is located; we have situated all the windows in the penthouse to allow for optimizing the views from within also. 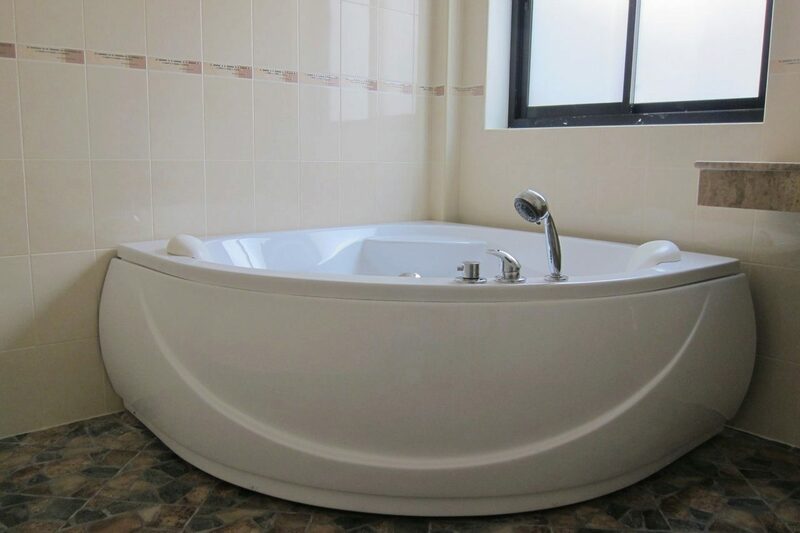 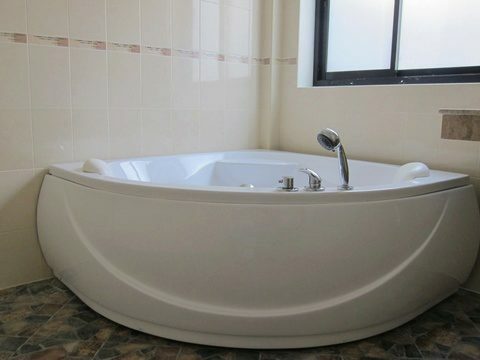 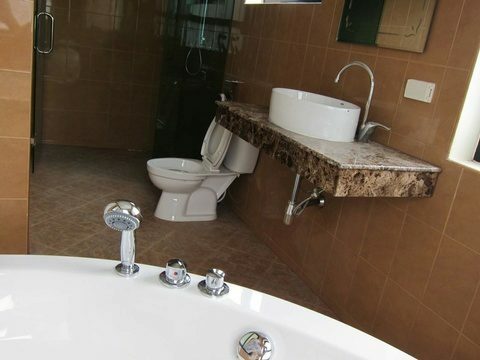 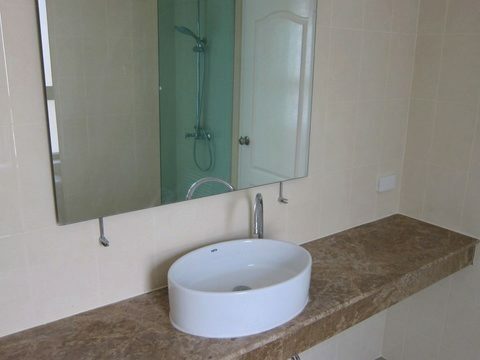 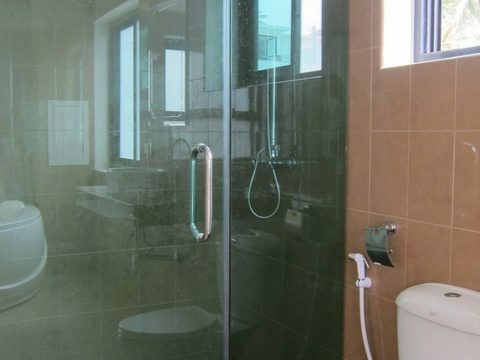 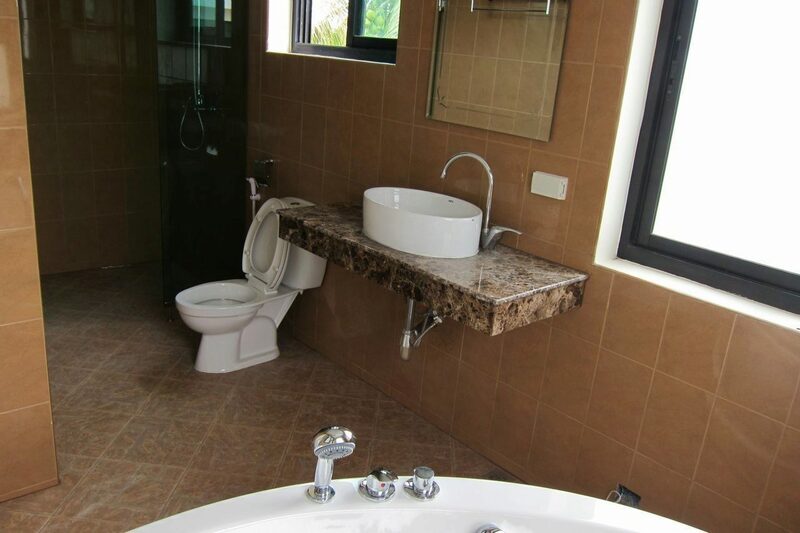 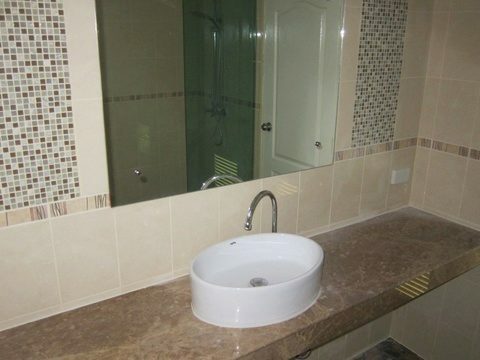 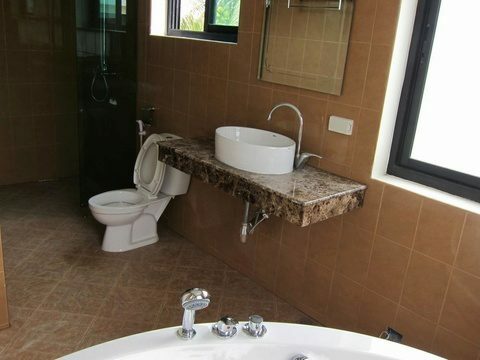 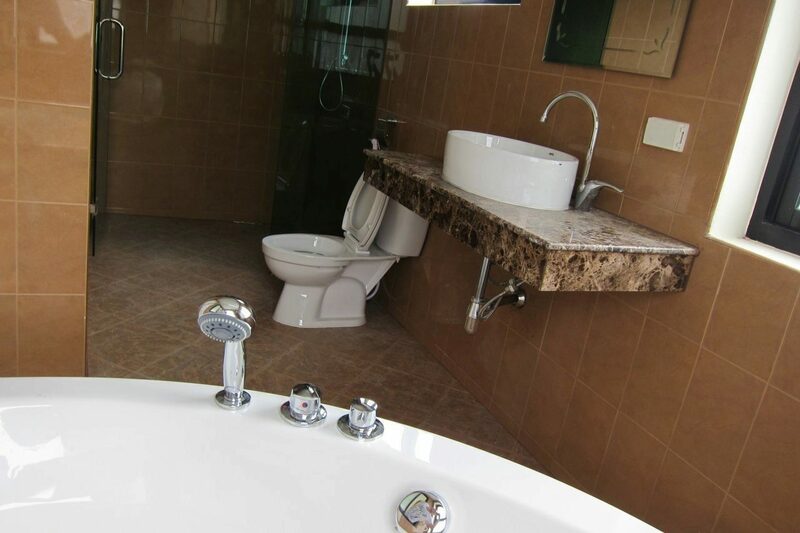 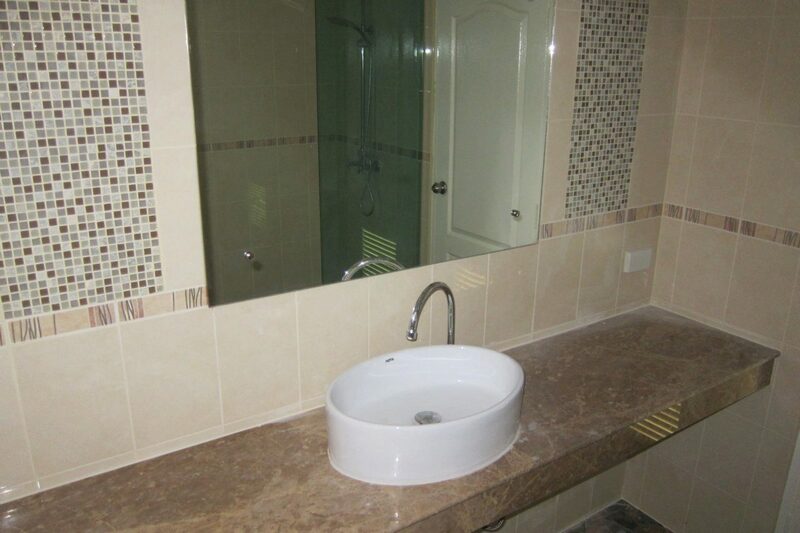 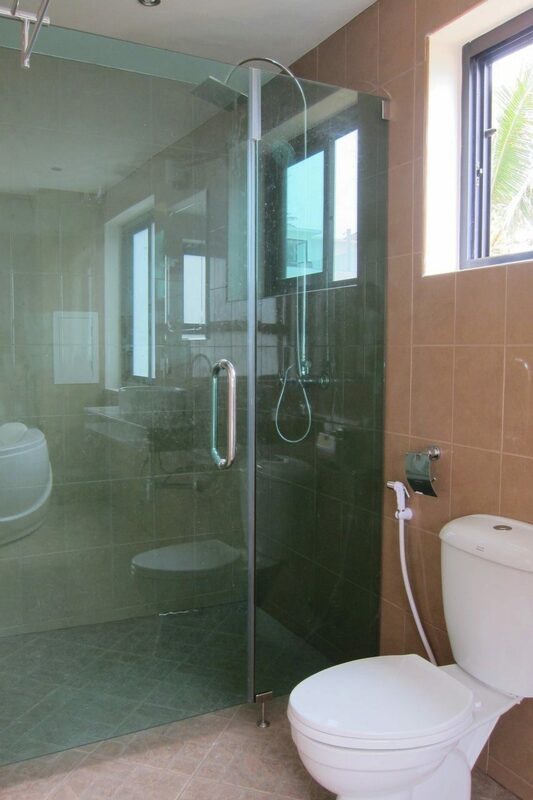 The En suite bathroom has a large bathtub to soak and relax in while gazing out across the sea. 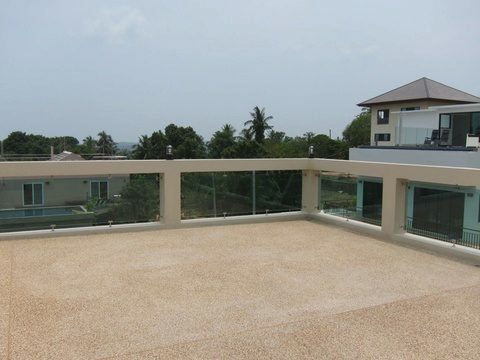 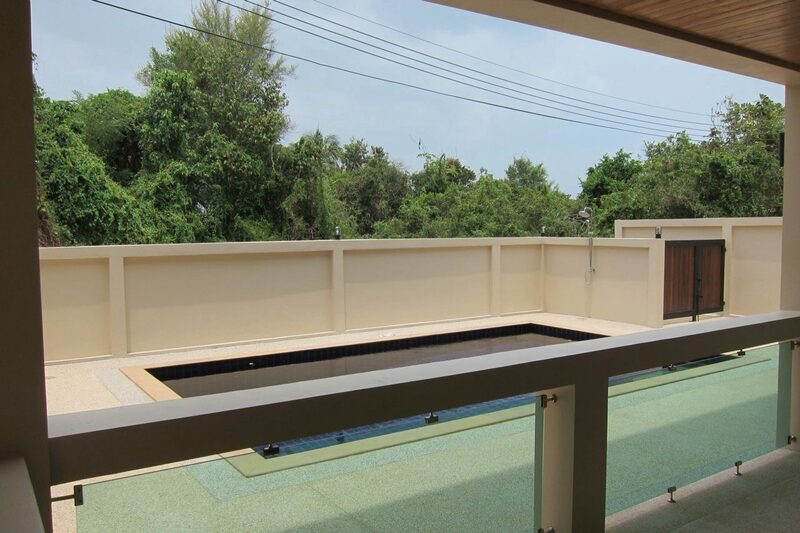 Outside there is a very large balcony and 5th floor terrace, ideal for BBQ’s and soaking up the rays. 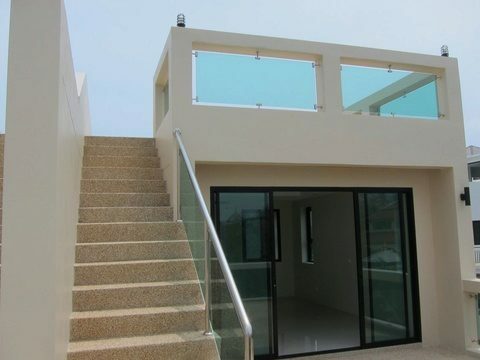 It is possible to build a sala on the terrace if you wish. 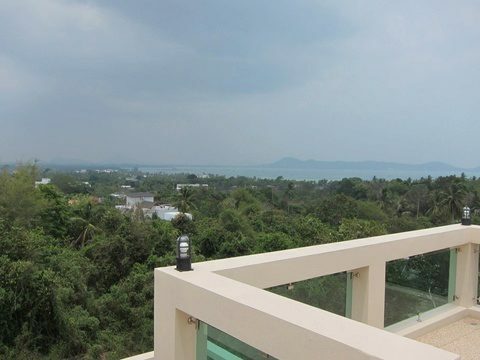 I cannot put into words the views from the 4th floor balconies and 5th floor terraces, come and have a look anytime. 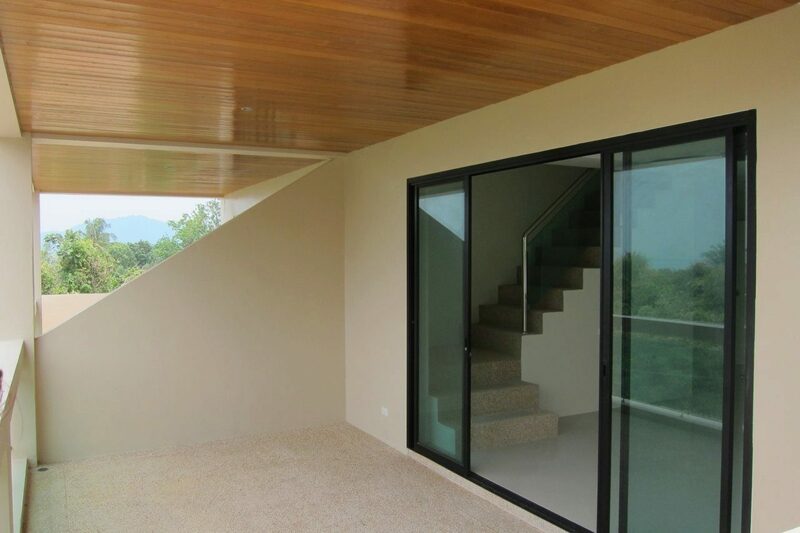 Outside the perimeter of the building is enclosed by a high wall and gates adding both security and privacy. 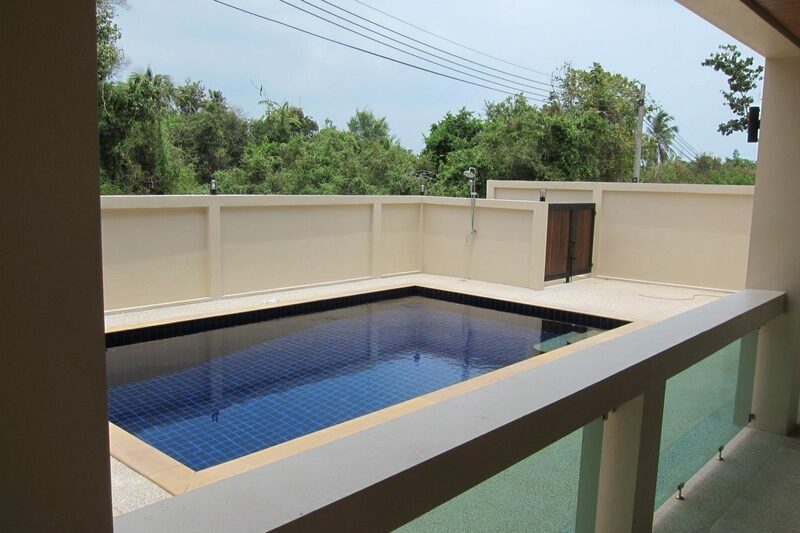 The pool and bathing areas are for communal use with the 7m x 4m clear blue pool being the center piece of the spacious outdoor area. 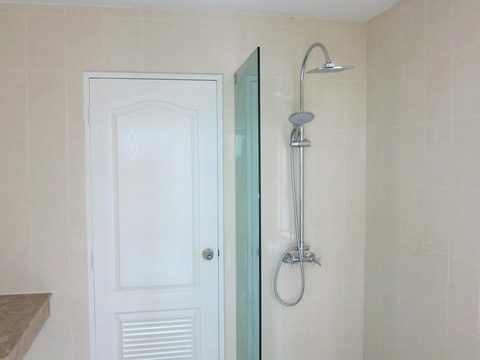 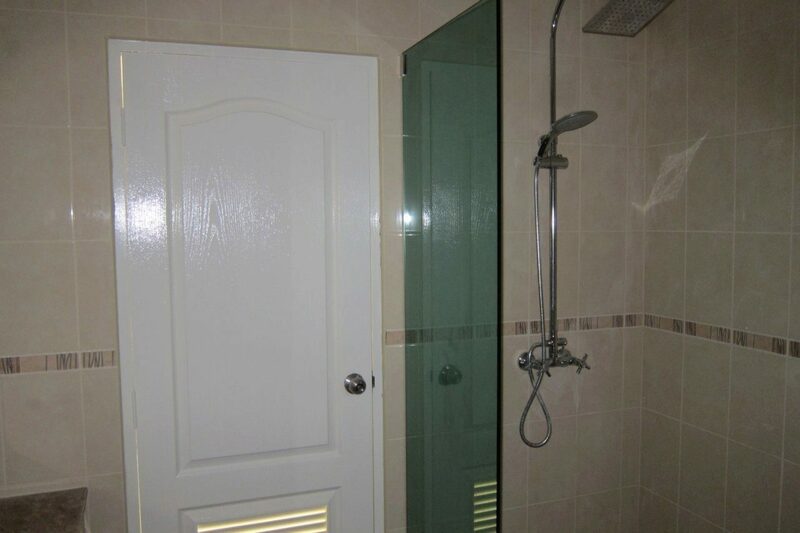 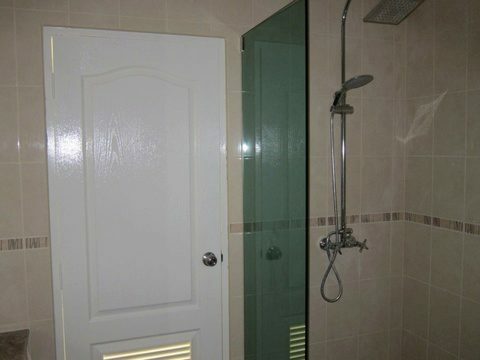 There are also two showers located outside ideal for cooling down on a hot sunny day. 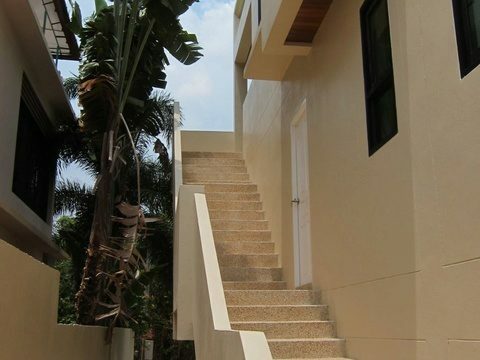 There is some parking in the private road outside and there is plenty of room for motorbike parking within the walls. 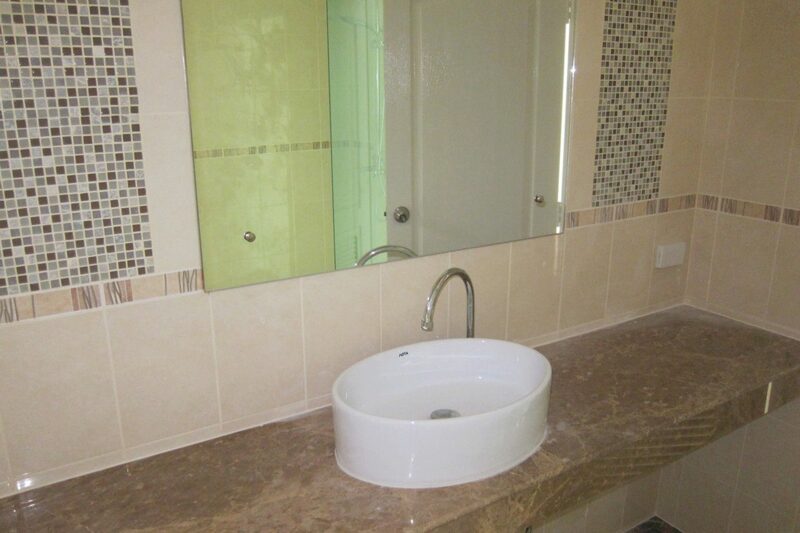 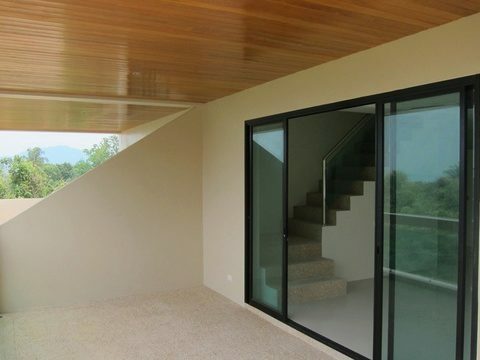 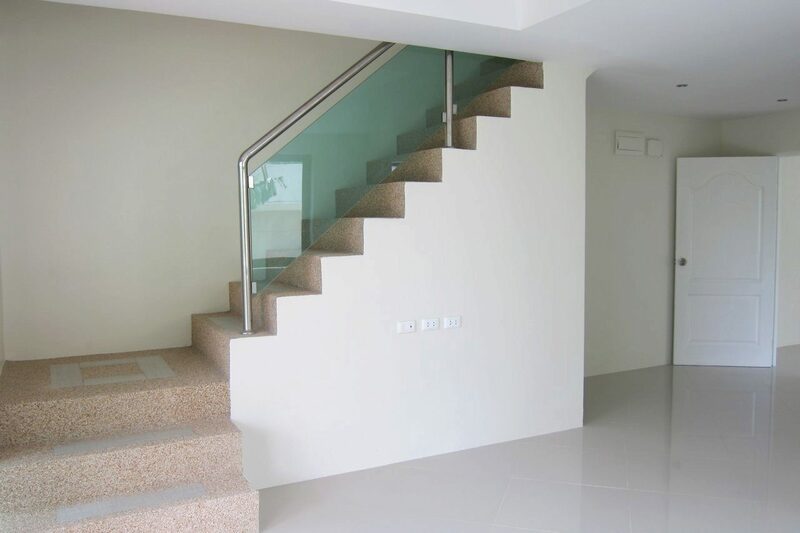 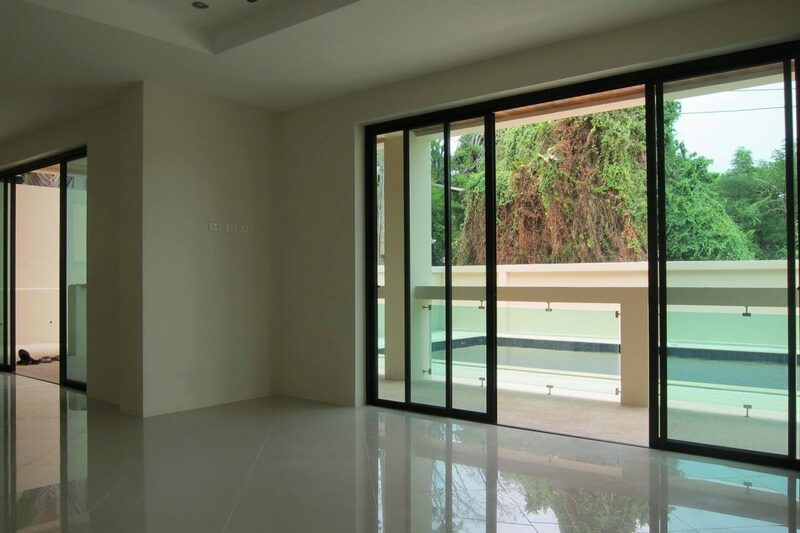 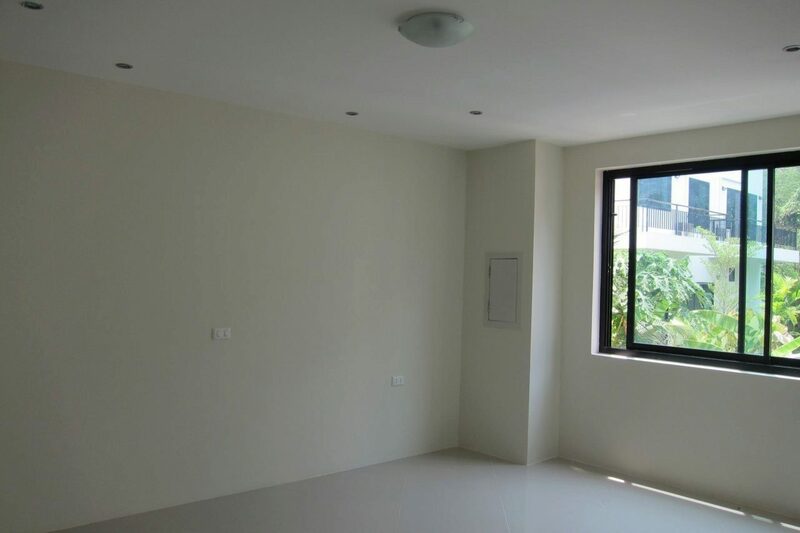 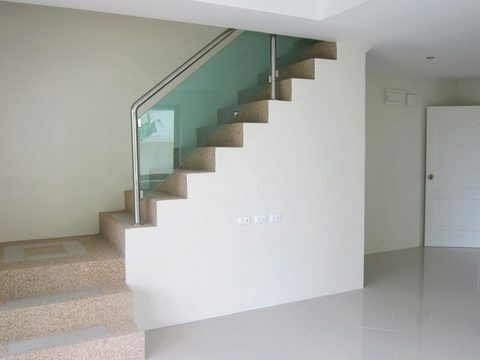 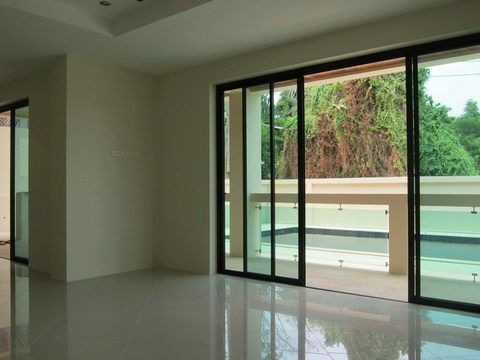 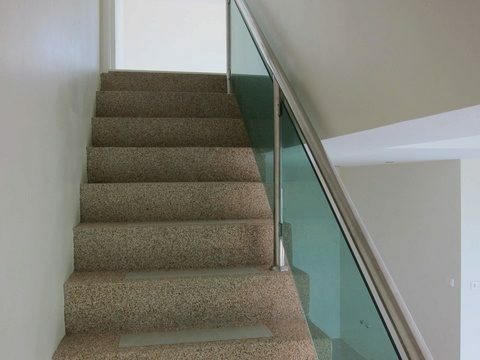 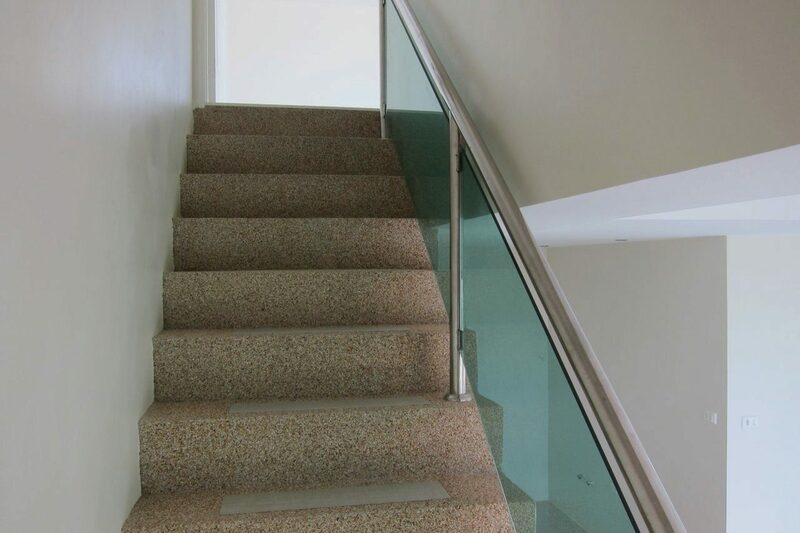 All apartments comes unfurnished, which give you excellent opportunity to choose your private style. 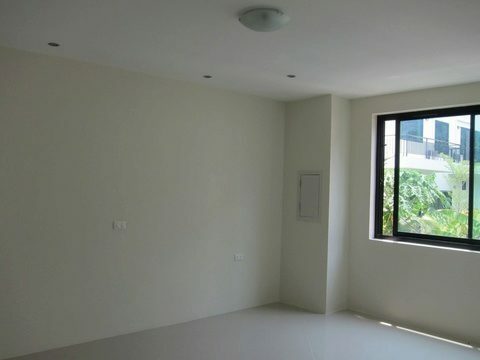 Great investment return by rental.